And, I just had to use some Scratch-off stickers I've been hoarding. Love.those.things. They come in a lot of different sizes (I listed them in the supplies if you're looking for one in particular); the 1 x 2"* was perfect for this project. Raise your hand if you shine up your pennies with a baking soda and vinegar bath like me... LOL! 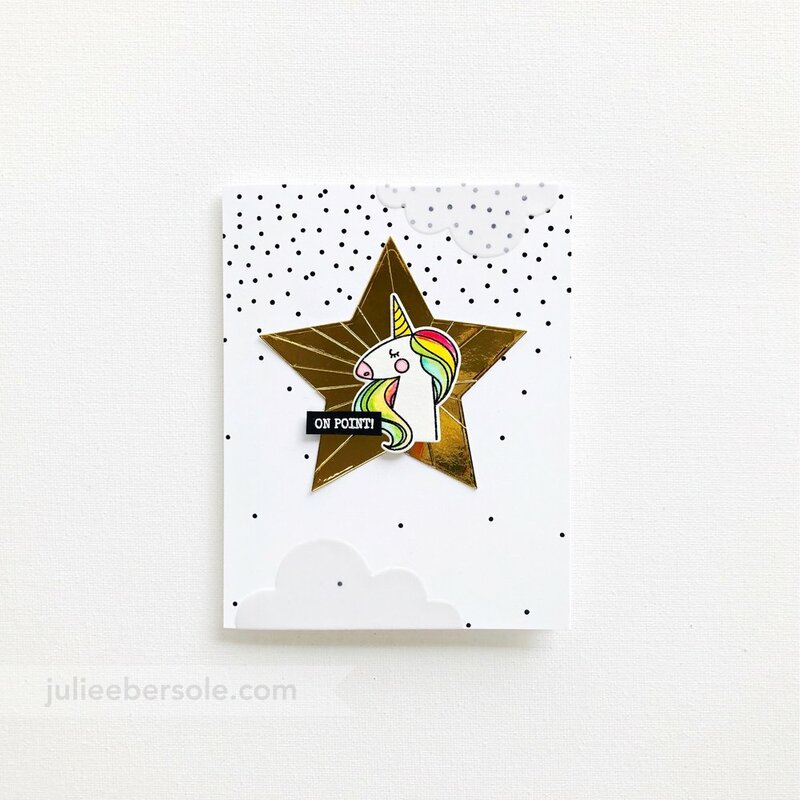 This unicorn profile cracks me up--reminds me of those hair coloring commercials where the girl is tossing her head from side to side and her hair just flows and flips back & forth in slow motion. HAIR FLIP!!! YASSSSSSSS!!! 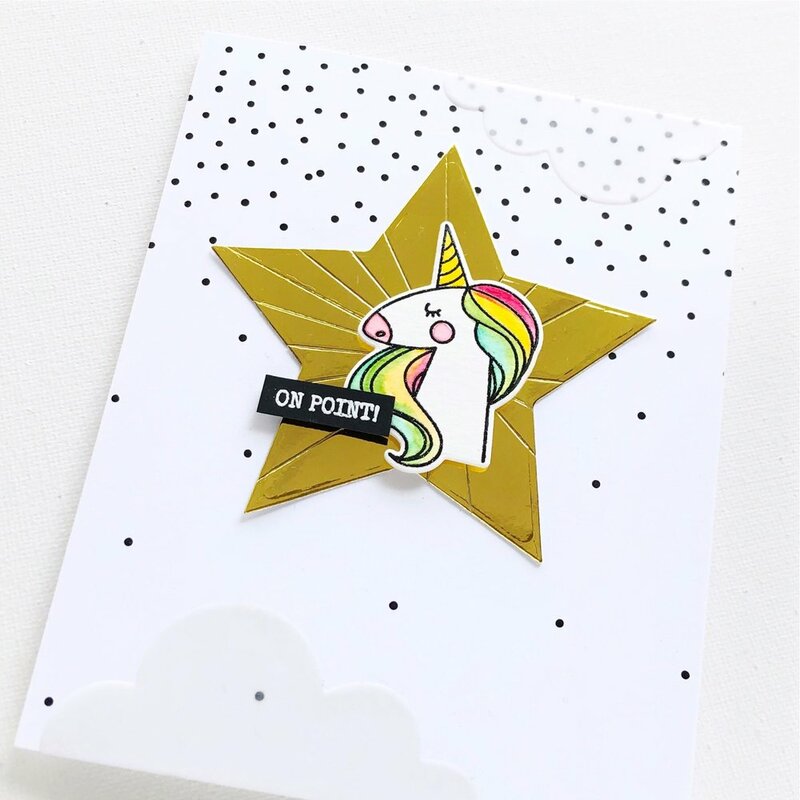 As I was developing this design, it occurred to me that I could use the light rays from the Silver Linings Die Set, die-cutting two from foil card stock, mounting them side by side together onto some typing paper and then die cutting those with a star shape, to really draw attention to the focal. The clouds were die cut from vellum card stock. There was a lotta serious monkey clapping when I finished this.